Ben Simon, MD, is board-certified in Cardiology. He is available for Expert Witness Testimony or Independent Medical Evaluations (IMEs) at several locations throughout Los Angeles County. 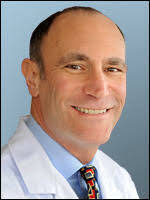 Ben Simon, MD, has had a private practice in Cardiology in Los Angeles since 1987. He received both his bachelors degree and his medical degree from Ohio State University and completed his internship in Internal Medicine at Riverside Methodist Hospital. His residency in Internal Medicine and his fellowship in Cardiology were both completed at University of California, Los Angeles. Dr. Simon is affiliated with multiple hospitals in the area, including Providence Tarzana Medical Center and West Hills Hospital & Medical Center. He is a Diplomate of the American Board of Internal Medicine.